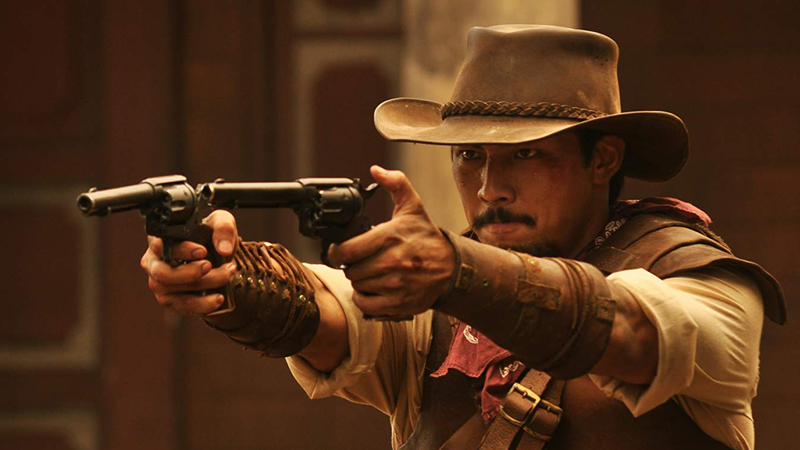 An action-heavy, martial arts-filled western from Singapore? Don’t mind if I do. Buffalo Boys, Singapore’s official submission for the foreign-language Oscar, finally has a domestic release date and to celebrate, there’s a bone-breaking, sword-playing, bullet-spraying, vengeance-exacting new trailer. Check it out after the jump. 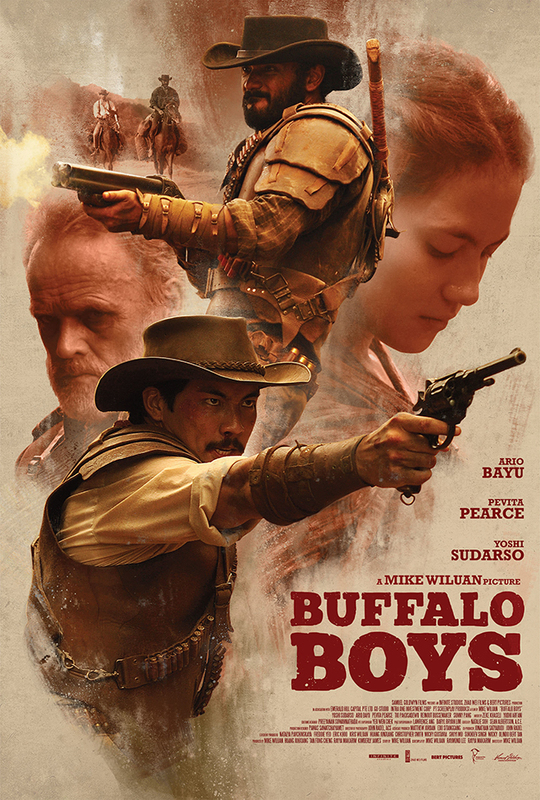 Buffalo Boys is one I’ve been keeping an eye on since I first heard about it earlier this year. Though I incorrectly reported that it’s Indonesian in origin. That said, it still looks crazy and violent and like an absolute genre-mashup blast. There’s also archery, you know what to do. The obvious comparison point is Django Unchained, but for my money, it looks more in line with Takashi Miike’s 2007 revisionist western, and entry into the expansive Django cannon, Sukiyaki Western Django. The frenetic energy appears more in line with that than Tarantino’s take. In 19th Century Java, a brutal massacre and the murder of Sultan Hamza by Captain Van Trach and his Dutch soldiers force Arana, Jamar and Suwo - the sultan’s brother and infant sons - to flee the country, bringing them halfway around the world to the American Wild West. After working the railroads and learning the cowboy way of life, Arana tells the boys it’s time to return to their homeland and avenge their father’s death. Back on Indonesian soil, the hunt for their father’s killer begins. Along the way, they meet some villagers including Kiona, the rebellious and beautiful headman’s daughter who Suwo falls for, and soon find out that the treacherous Van Trach still rules the area. Their presence puts the village in danger, quickly turning their quest for revenge into a fight for freedom. With the odds stacked against them, Arana, Jamar and Suwo use the skills they learned from the wilds of America to face Van Trach and his army in a showdown for justice. Directed by Mike Wiluan, who recently produced the mega-hit Crazy Rich Asians (and Beyond Skyline), Buffalo Boys stars Yoshi Sudarso (Power Rangers: Dino Chargo), Ario Bayu (Java Heat), Pevita Pearce (May the Devil Take You), Tio Pakusadewo (The Raid 2), Conan Stevens (The original Mountain on Game of Thrones), and Reinout Bussemaker (Flight HS13). Though they’re not mentioned in the press release, the cast also reportedly features Zack Lee and Sunny Pang, who you may know from movies like The Night Comes for Us and Headshot, among others. Beyond that, veteran fight choreographer Kazu Patrick Tang (Triple Threat, Hard Target 2, and tons of others, hands all the action. Buffalo Boys officially hits U.S. theaters—probably a scant few—on January 11, 2019. If I have to hazard a guess, I suspect a VOD bow will follow shortly.